There are many ways to improve traction on the road during Winter, which up here in BC, when the snow starts to fly and the temperatures drop, can be critically important. Switching to a snow and ice rated Winter tire, installing chains and even adding weight to the back end of your vehicle (like carrying sand bags in the trunk or truck bed) can all help add traction on snowy roads. Another way to add traction is through something called siping. Siping is a process of cutting small slits across the surface of a tire. Siping can improve traction not only on snow and ice, but also wet roads too. Another advantage to siping is that it can actually improve the vehicle’s ride. While siping requires cutting the tires, it doesn’t reduce a tire’s toughness. So why does siping work? Your tire’s surface is made up of many smaller surfaces called tread blocks. 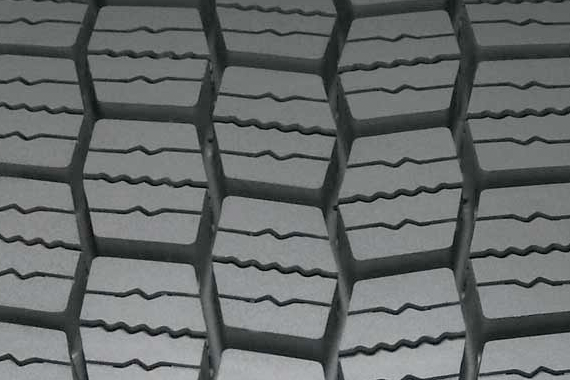 Tread blocks get their gripping power from the many sharp surrounding edges. By adding siping to a tire, you add more edges and improve tire traction. And while siping helps add to your traction on the road, it also helps manage heat, especially on hot Summer roads, helping increase the life of your tires. If you’d like to find out more about siping and whether or not it’s right for your tires, give us a call at Big O and we’ll walk you through the pros and cons.